David Benton Dibrell was born on May 26, 1938, in San Antonio, to John L. and Juanita (Pounds) Dibrell. He grew up in Big Spring, Texas, graduated from Big Spring High School and completed his education at Howard County Junior College and the University of Texas in Austin. He married his high school sweetheart, Marlene Marie Mann, and they have two daughters, Jo D. Dibrell and Jill; and two grandsons, Steven and Benton. The Dibrell’s are active members of the First United Methodist Church in Richardson, having served on the Administrative Board, Finance Committee and sponsors of youth groups. After college, Grand Master Dibrell worked for Southland Life Insurance Company in Dallas; for Honeywell in Dallas and in Boston; for Tillinghast & Co. in Atlanta; and for Logic, Inc. in Dallas. While serving as President of Logic, he was active in the national trade association ADAPSO and served on its Board and on various committees. After selling his interest in Logic and then a period as an independent computer consultant, he joined Intercon General Agency in 1990 as Vice President of Information Systems. Intercon is a wholly owned subsidiary of Royal & SunAlliance Insurance Company of Charlotte. Grand Master Dibrell currently serves as an Assistant Vice President of the various RSA Insurance Companies. Throughout his professional life, Grand Master Dibrell has specialized in computers and insurance. Grand Master Dibrell was initiated an Entered Apprentice Mason in Richardson Masonic Lodge No. 1214 on December 14, 1971 and raised a Master Mason on March 23, 1972. He served as Master of Ceremonies in 1972-73, advanced through each office and was elected to serve as Worshipful Master in 1979-1980. He has held an esoteric certificate since 1982. An Endowed Member since 1987, he received the Golden Trowel Award in 1992 and was presented a Life Membership in 1995. A plural member of Holland No. 1 in Houston and Knox Corinthian No. 851 in Richardson, Grand Master Dibrell was instrumental in Knox Corinthian’s move to Richardson in 1997. He is also a Past Master of Knox Corinthian. He is a plural member of James Ladd Burgess No. 1305, Mercedes No. 1010 and Tranquility No. 2000. In 1989 and in 1990, Grand Master Dibrell served as Chairman of the Grand Lodge Special Assignments Committee which developed the Grand Lodge Insurance Program. He served as Assistant State Coordinator in 1993 and later as Grand Pursuivant P .T. for Grand Master R. O. “Bob” Schnell. He began his service as Chairman of the Committee on Masonic Education and Service in 1993, continuing until his election as Grand Junior Warden. While serving as Chairman, Grand Master Dibrell developed and implemented the Wardens Retreat Program for Lodge Leadership Training. He served as State Coordinator and Grand Orator in 1994 for Grand Master Billy Tinsley and as Grand Marshal in 1997 for Grand Master Joe Regian. In 1976 Grand Master Dibrell was made a Scottish Rite Mason in the Valley of Dallas, where he holds an Endowed Membership. He was invested with the Rank and Decoration of Knight Commander of the Court of Honour in 1985 and coroneted a 33rd Degree Inspector General Honorary in 1995. Grand Master Dibrell has served on various degree teams and still serves as degree master for the 32nd Degree. He served the Dallas Chapter of Rose Croix as Wise Master in 1991 and he served the Dallas Scottish Rite Valley as General Membership Chairman until 1998. He was exalted as a Royal Arch Mason in A. C. Garrett Chapter in 1979, transferred to George Washington Chapter No. 422 in 1988 and served as High Priest of that Chapter. He was greeted as a Royal and Select Master in A. C. Garrett Council in 1980, transferred to John C. Callahan Council No. 408 in 1988 and currently serves that Council as Principal Conductor of the Work. He was knighted in A. C. Garrett Commandery No. 103, Knights Templar, in 1980 and is a member of the Grand Master’s Club of Knights Templar Eye Foundation. He has served the Grand Council of Royal and Select Masters as its Grand Chaplain in 1998. Grand Master Dibrell is a member of Hella Shrine A.A.O.N.M.S. in Dallas and is a Past President of the Knights of Mecca, Past Masters Unit. He is a Charter member of Alla Grotto; a member of Lyle L. Cross York Rite College; a member of Anson Jones Council No. 47 of Knight Masons and of Rose of Sharon Council No. 49 of Knight Masons, where he served as Excellent Chief in 1995-96. He is a member of Holy Grail Council No. 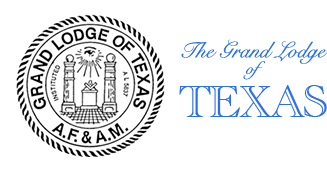 287 of the Allied Masonic Degrees; a member of Saint Mark Conclave, Red Cross of Constantine; and a member of Texas College Societas Rosicrutiana (Masonic Rosicrutians). He is a Full Member of the Texas Lodge of Research. Grand Master Dibrell is also a member of the Royal Order of Scotland and the Philalethes Society. He is a member of the National Sojourners. Grand Master Dibrell and Mrs. Dibrell were initiated into Richardson Chapter No. 921, Order of the Eastern Star, affiliated with Dal-Cliff No. 574 and served that Chapter as Worthy Patron and Worthy Matron in 1988-89. He has served Grand Chapter on many Committees and as Grand Sentinel in 1990-91. They are also members of Houston Court No. 2, Order of Amaranth and the Cross of Texas Shrine No. 1, Order of White Shrine of Jerusalem. Initiated into DeMolay in 1952, he served as Master Councilor of Big Spring Chapter in 1956. Grand Master Dibrell has served as an Advisor of Richardson Chapter and Auvergne Priory in Richardson. He received the DeMolay Legion of Honor in 1988, its Cross of Honor in 1977, and Chevalier in 1999. He currently serves as Dean of the North Texas Preceptory of the Legion of Honor. In 2000, he was elected an Honorary Member of the DeMolay Supreme Council. Grand Master Dibrell has been especially interested in the International Order of the Rainbow for Girls. It was when his two daughters joined that organization that he was motivated to finally petition the Lodge. He has served Richardson Assembly 291 on its Rainbow Council and Advisory Board. He received the Grand Cross of Color in 1979. He and Marlene have served Grand Assembly for several years. Currently, Marlene serves as the Supreme Deputy in Texas. 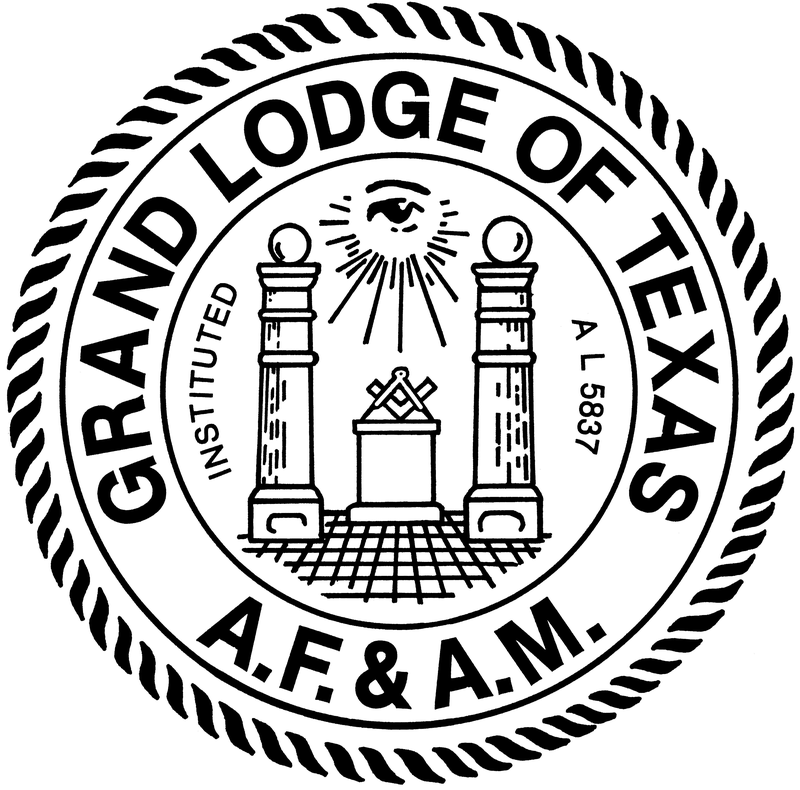 An active genealogist, Grand Master Dibrell has traced his Masonic heritage to 1849 when his Great-Great-Grandfather, Henry Eustace McCulloch, was initiated into Austin Lodge No. 12. McCulloch later transferred to Guadalupe No. 109 in Seguin. His Grandfather, John Lee Dibrell, joined San Antonio Lodge No. 1079 in 1922 and later transferred to Anchor Lodge No. 424. His Father, John Lee Dibrell, joined Kerrville Lodge No. 697 in 1926 and transferred to Staked Plains No. 598 in Big Spring. 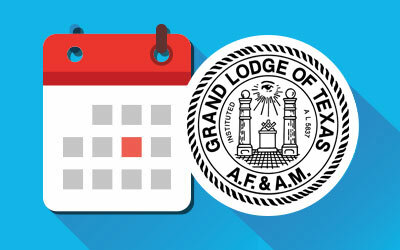 Known as an organizer and a planner as well as a committed and dedicated Freemason, Grand Master Dibrell brings a sense of vision and vitality to the Office of Grand Master, He believes that a positive attitude linked with meticulous planning will allow us to accomplish great things for ourselves and for Masonry. 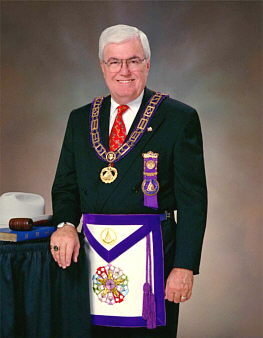 The Grand Lodge of Texas welcomes this very capable and energetic leader.